Welcome to beautiful downtown Custer! 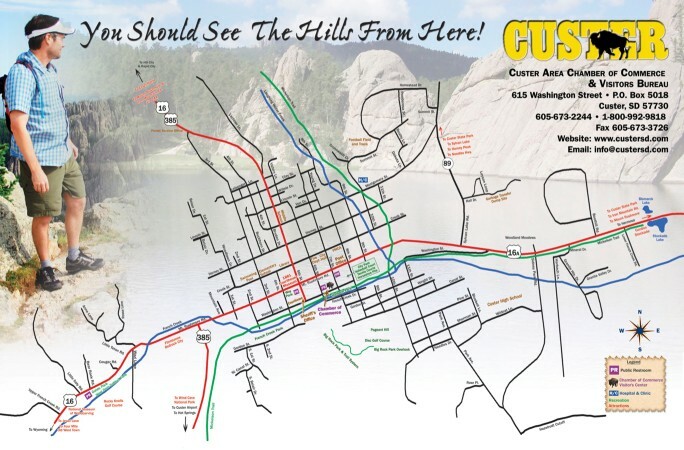 In the heart of the Southern Black Hills, Custer Real Estate Sales & Services, LLC is your real estate leader for properties and services of all kinds -- residential, commercial, land, and recreational. With 26 years experience, Ramona Flaig, prides herself in her honesty, market knowledge and hard work. With a true sense of purpose and a commitment to customer satisfaction, she has placed - and removed - thousands of "For Sale" signs as a result of successful real estate transactions. She knows homes and land and she is dedicated to easing your real estate concerns. So, whether you're buying your first home, selling your land or home, buying that multi-million-dollar enterprise or wanting to rent long term, let Ramona guide you to success and satisfaction in all your real estate needs.